Quentin Branch, Jesus Romo and Benito Vasquez of Rammed Earth Solar Homes. The Oracle Community Learning Garden at Wood Field has been given a makeover and continues to grow thanks to members, volunteers and donations. 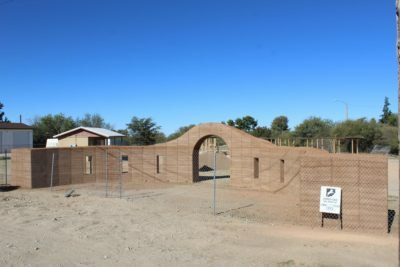 A new rammed earth wall entrance has been completed. 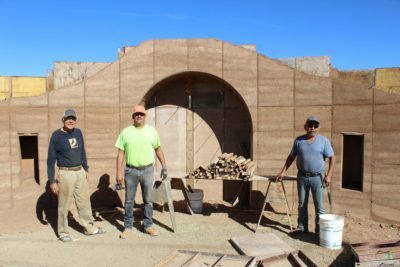 The wall entrance is a donation from Quentin Branch and his company, Rammed Earth Solar Homes, Inc. Quentin, Jesus Romo and Benito Vasquez built the wall. Other donations have been made. A circular stonework bench and tree well was donated by Eddie Lerma. Darrell Klesch and Rodney Anderson designed and built a large rock planter. Darrell is the owner of Darrell’s Stonemasonry. Volunteers built the raised planters, put in fencing and continue to give their time and labor to sustain the garden for the community to enjoy. 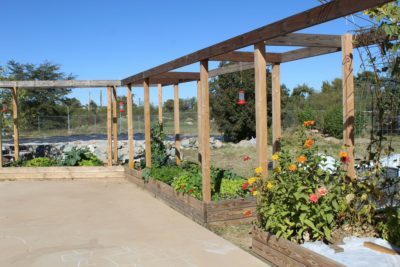 Volunteers built the raised planters, put in fencing and continue to give their time and labor to sustain the garden for the community to enjoy. The gateway to the Oracle Community Learning Garden nears completion. 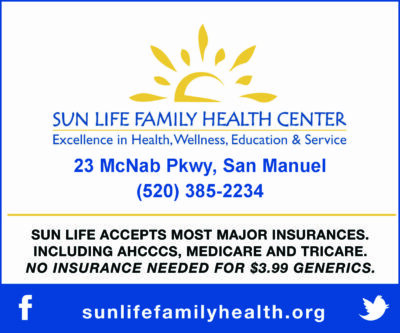 It was designed and donated by Rammed Earth Solar Homes.